Flush Fluids: Brake fluid is recommended to be changed every 1 to 3 years. If your brakes are noisey, less responsive, or generally uncomfortable, then you should flush out the old fluid and replace it. Similarly, flushing the coolant in your car can help keep your engine working properly. Clean Your Interior (Really Clean It): By clean your interior, we don't just mean throwing out the old water bottles in your backseat. A lot of things accumulate during a year, such as dust, dead skin, dropped food, spilled beverages, and more. If you are spending a lot of time in the car then springing for a deep clean can make your interior much more comfortable. 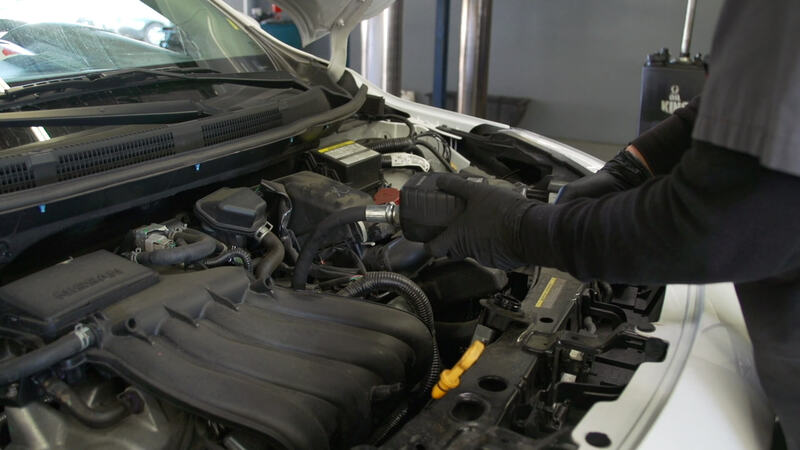 Belts and Hoses: Taking a quick look under your hood is something that you can do every so often on your own. It is certainly something that you should make sure is done by a professional once a year. Look out for cracking and general wear and tear on belts and hoses. Catching a problem early can prevent bigger problems down the road. Rotate your tires: We have discussed the importance of tire rotations before in a previous blog. In that blog, we discuss why and when this should be done. And as we said earlier, the easiest way to know how often your tires need rotating is to check your manual. Luckily, Metro Nissan of Montclair is staffed with professionals that are ready to keep your car running for 2018. Learn more or schedule your service appointment at MetroNissanMontclair.com.